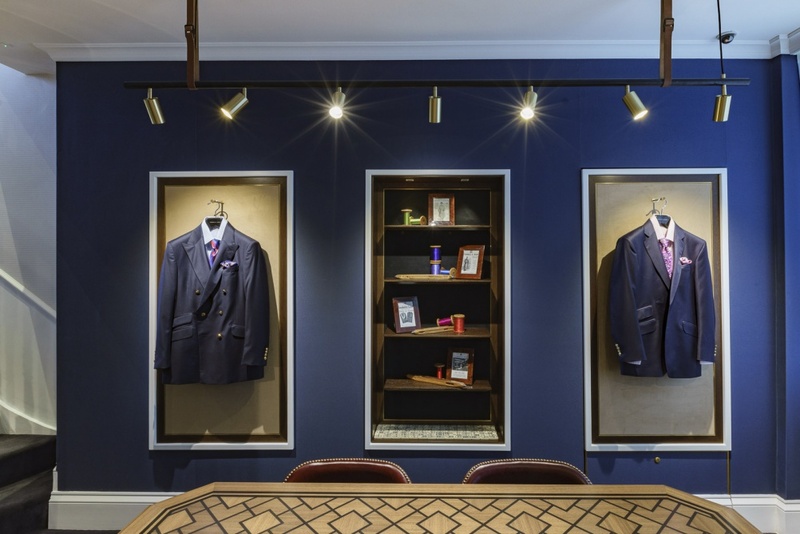 Shed has created a new retail concept for tailor Turnbull & Asser’s latest store on Davies Street in London’s Mayfair, which aims to embody the “crafted, authentic and eccentric” spirit of the brand. The space combines ready to wear clothing on the ground floor and a “bespoke lounge” in the basement. 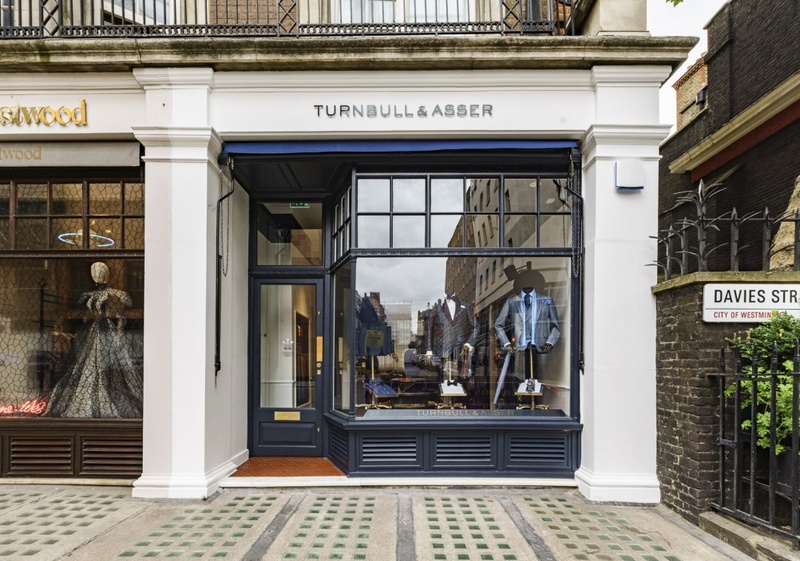 Shed has looked to make the most of the building’s original 1910 Edwardian features, which help emphasise the heritage of Turnbull & Asser which was established in 1885. 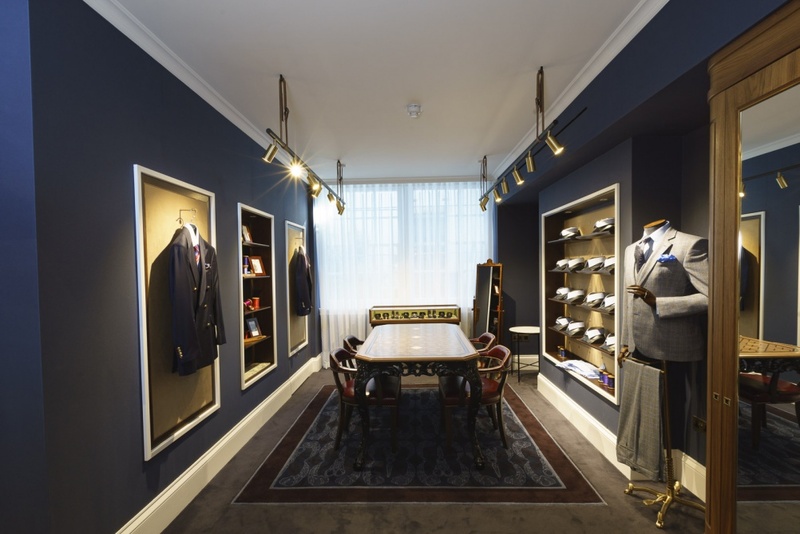 Timber floors have been restored and an original fireplace reinstated in the shirt room as a focal point. Skirting, dado and picture rails have also been brought back. Payment areas on the ground and basement floors have been “integrated into the architectural shell” according to Shed, which has placed the pay points behind display panel doors creating a discrete and space saving solution. 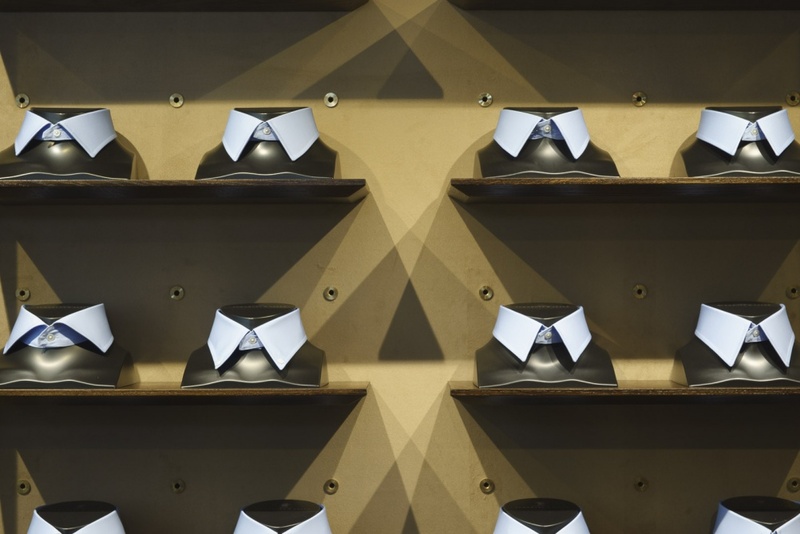 Walnut, oak and mahogany furniture populates the store and on the ground floor glass cases have been used to hold robes, knitwear, pocket squares and pyjamas. 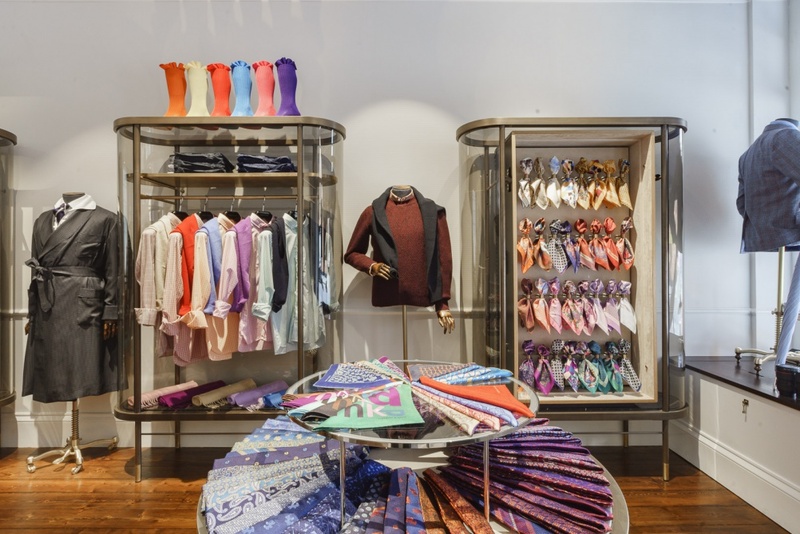 Low level mid floor units create tiered displays of colourful products supported by tailored wall displays in front of the shirt room. These sit next to a four meter long dresser housing and displaying the shirt variations available and free standing, suede lined cabinets. Downstairs the private consultation area is delineated by a carpet supporting rugs featuring Turnbull and Asser emblems and patterns.